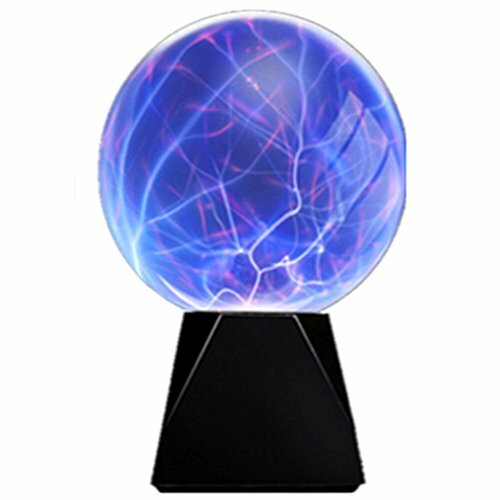 Touch & Sound Activated,Glass Plasma Ball Party magical ball electrostatic flashing ball (6 inches) by pelddy at Result BD. MPN: 43239-121445. Hurry! Limited time offer. Offer valid only while supplies last. This NEW Plasma ball is fun and functional! It is Sound activated ( sound responsive）and creates the more fun than the common magic ball. This NEW Plasma ball is fun and functional! It is Sound activated ( sound responsive）and creates the more fun than the common magic ball. TOUCH SENSITIVE: Just place your fingers on the glass surface and watch as colored bolts of glowing light follow your every move. You can actually "feel" the energy as the light gently tickles your fingertips. If you have any questions about this product by pelddy, contact us by completing and submitting the form below. If you are looking for a specif part number, please include it with your message.